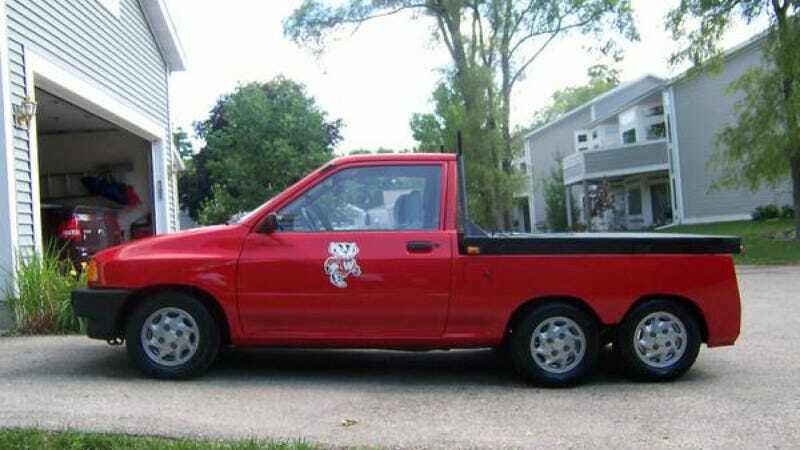 A bright-red 1991 Ford Festiva with a badger on the door, pickup bed and six wheels is about to join baby sloths, lemurs, and ducklings in the elite fellowship of things that make you go d'awww! On Craigslist right now for $8,900, the seller of this badger brandishing one-off says it was put together by a Ford dealership as a parts shuttle/rolling advertisement. Plus, the back "looks like a Corvette." Kinda. Hat tip to Marcus M.!